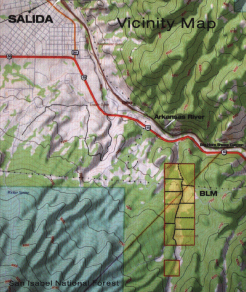 The historic 100 mile Rainbow Trail, at the head of the Bear Creek Valley is a bike or horse ride from your door. Take this trail to mystical mountain lakes, names so secret they can only be whispered. The Utes passed this way before you and you hope the game was just as abundant for them and the fish just as willing. Only a half hour from Bear Creek Valley, Monarch Ski and Snowboard Area boasts an average annual snowfall of 350 inches and consistently ranks high in the state for natural snowfall. Powder Magazine and Free Skier Magazine have featured Monarch as a top destination in North America. Cross-country skiing and snowshoeing is also popular in areas such as Old Monarch Pass, Fooses Creek, and North Fork Creek. Bear Creek Valley is a sportsman's paradise. The Arkansas boasts the Caddis Fly hatch in mid-May. The even more adventurous will visit the largest concentration of high alpine lakes in Colorado. In addition, the ranch is one of the top game areas in the state with an abundance of elk, deer, bear, lion, turkey and more. The resident elk herd can be seen on most days grazing in the lush meadows along Bear Creek. The variety of terrain and mild mountain climate combine to make the area one of the top mountain biking centers in the west. Salida offers many bike festivals and races throughout the season. Salida hosts the FIBArk Whitewater Festival. Many of the top whitewater sports stars from around the world venture to Salida each year to take on the mighty Arkansas River. 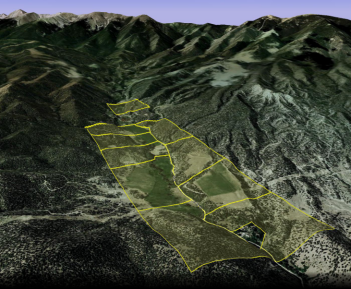 For families or pros, Bear Creek Valley borders public access to the Arkansas River. Soak or swim in the natural crystal clear, mineral rich geothermal hot springs that feed local resorts and the Salida Aquatic Center.